Over the past six years, WWF’s innovative Water Risk Filter has developed into a leading and trusted tool to help companies across the world assess their water risk. More than 200,000 sites have already been assessed by over 3,000 users. But now it's time for a change. Indeed, some big changes. Co-developed by WWF and KfW-DEG (the German Development Bank), the tool will undergo by far the biggest upgrade in its history. Along with major improvements to the way it looks and feels, there will also be significant changes to the way it functions, enabling companies and investors to explore, assess, value and respond to water risk. The first thing users will notice about the enhanced tool will be the new interface and branding. 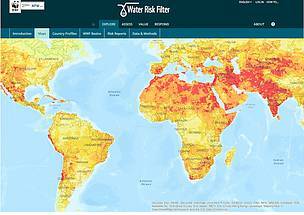 The updated Water Risk Filter now has a new logo and a more compelling set of colours – from the website to the risk maps themselves. More importantly, it also boasts a cleaner, simpler interface. The new tool will be structured around four areas: Explore, Assess, Value and Respond. 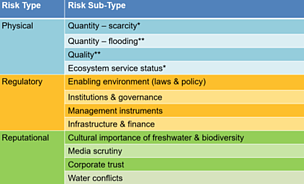 While historically the Water Risk Filter has included elements of most of these, the focus has largely been on the ‘Assess’ section. The new version will be stronger across all four areas. 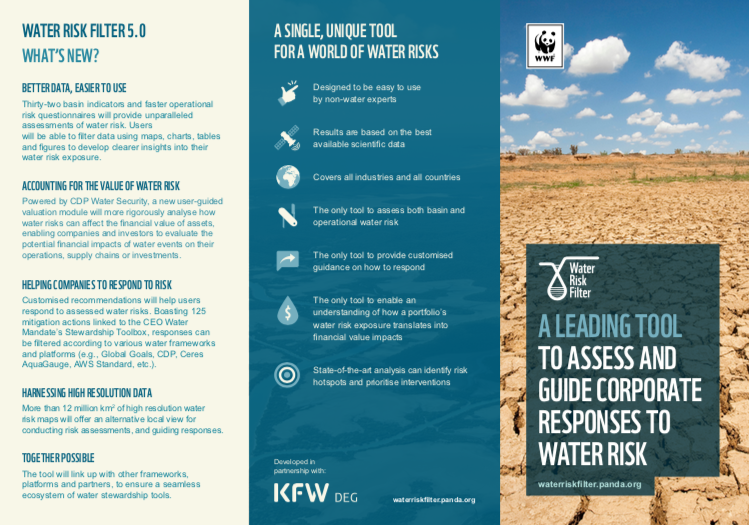 Explore 32 risk maps, 60+ risk indicators, 12+ high resolution country data sets and WWF river basin story maps as well as WWF water risk & stewardship reports, and details on methodology & data. Assess one or multiple sites using 32 basin risk indicators and an array of updated operational risk indicators (including a quick response option). Results can be saved and data filtered using maps, charts, tables and figures to develop clearer insights into water risk exposure. Value potential financial impacts by exploring how water and value link together using our valuation framework to unpack principles, guidance and calculators. Powered by CDP Water Security, a new Value Potentially Affected tool will analyze how water risks can affect the financial value of assets. Our new structure offers the most comprehensive coverage amongst risk tools across physical, regulatory and reputational water risk. The data sets have been improved to provide what we believe to be the best available scientific data for more accurate assessment. Climate change projection data has also been added with more to come. Another major advance is our new partnership with RepRisk, which will now inform the water conflict data layer with regularly updated information. All of these data sets will continue to be updated on an annual basis to ensure dynamic water risk results. The Water Risk Filter has long had a mitigation toolbox section dedicated to exploring actions. However, as noted above, the new Response section will dynamically link the water risk assessment results for any given site (or a portfolio of sites) to customized risk responses (i.e., risk mitigation actions). 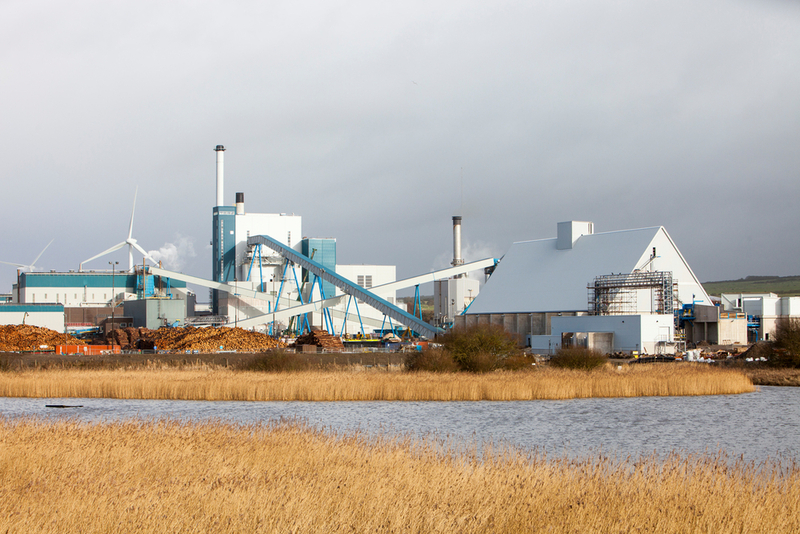 These actions are triggered by specific combinations of basin and operational water risk exposure, and the general level of sophistication that a given site has in its water stewardship journey. They are also split out into actions that a given site can undertake (e.g., site managers), as well as actions that a supporting entity (e.g., corporate headquarters) can implement for its operations. All the actions are linked to an array of different water stewardship frameworks ranging from the Alliance for Water Stewardship and CDP Water Security to Ceres’ AquaGauge and the Sustainable Development Goals. In addition, each action is also hyperlinked to the CEO Water Mandate’s Water Stewardship Toolkit, thereby enabling users to access the latest reports, case studies and guidance to implement responses. In time, we envision further enhancing this mitigation action toolbox by adding sector-specific actions and frameworks (e.g., Sustainable Apparel Coalition’s HIGG Index and actions for Tier 1 suppliers). 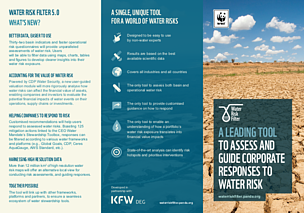 In 2015, WWF, in conjunction with IFC, put out a report that provided a framework for valuing water. 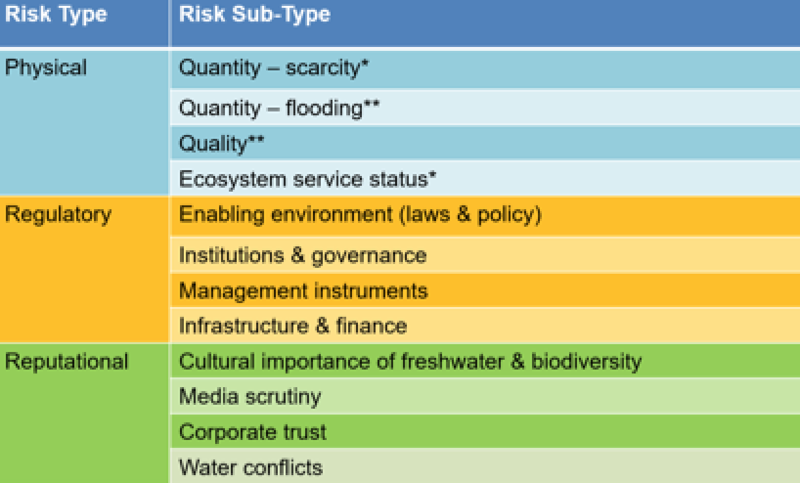 This framework is now being incorporated into the Water Risk Filter to provide guidance to those seeking to convert risk into value. In addition, the new valuation section will link to the Bellagio Principles on Valuing Water, point out relevant guidance materials, and distinguish some of the “valuation tools” (or calculators) that have emerged, thereby helping people to find the right one. WWF is also adding its own valuation tool into the mix: Value Potentially Affected tool. This new tool will draw from the Water Risk Assessment results, and combine likely events with potential financial impacts. Powered by CDP Water Security, the Value Potentially Affected tool will ultimately help to illustrate how water risk events can affect financial statements: from revenue loss due to droughts to depreciation of assets due to floods. As we move further into the new way in which WWF is now operating, the Water Risk Filter is moving beyond water stewardship to also more broadly support other areas of freshwater and going beyond freshwater to explore how water links to food, fiber, materials and energy in the nexus. The Water Risk Filter team will begin to highlight work from various offices and basin teams, and also help to “mash-up” data to explore key environmental issues. We’ve already started down this pathway areas – linking things such as tiger habitat and water risk (for WWF’s Species Practice), water risk-related opportunities for financing solutions (WWF’s Finance Practice), and started into assessments of water risks facing crops and metals (Food & Markets). The tool will continue to be a great introduction to WWF’s work on corporate water stewardship – providing a successful way to secure or add value to partnerships, gather geospatial intelligence (data) and better understand opportunities to work together at a landscape level with efforts such as the Landscape Finance Lab. 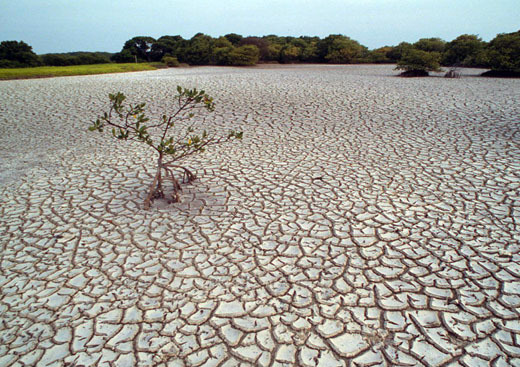 Looking forward, one of our next pushes will be to develop the Water Risk Filter into a key asset to engage in climate change adaptation and resilience building and thereby support the Climate & Energy team (e.g., via the Task Force for Climate Related Financial Disclosure, or TCFD as it is called). We believe that the Water Risk Filter embodies the spirit of “Together Possible”. So stay tuned – we’re now ramping up with much to come this fall. We will be providing an exclusive preview at World Water Week on August 26th, going live at the end of October 2018, and continuing build out with additional new features following launch. Get set to go from water risk assessment to response. 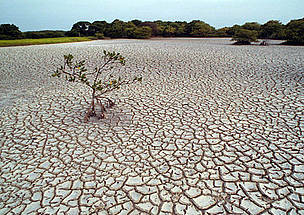 Severe droughts might double in South-Asia over the coming years. 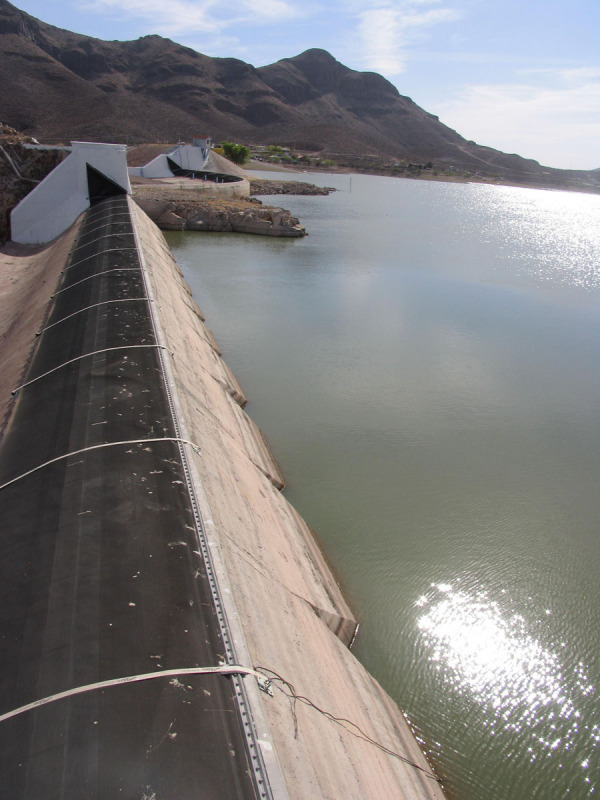 Francisco I Madero Dam, where water saving irrigation practices have currently been put in place.